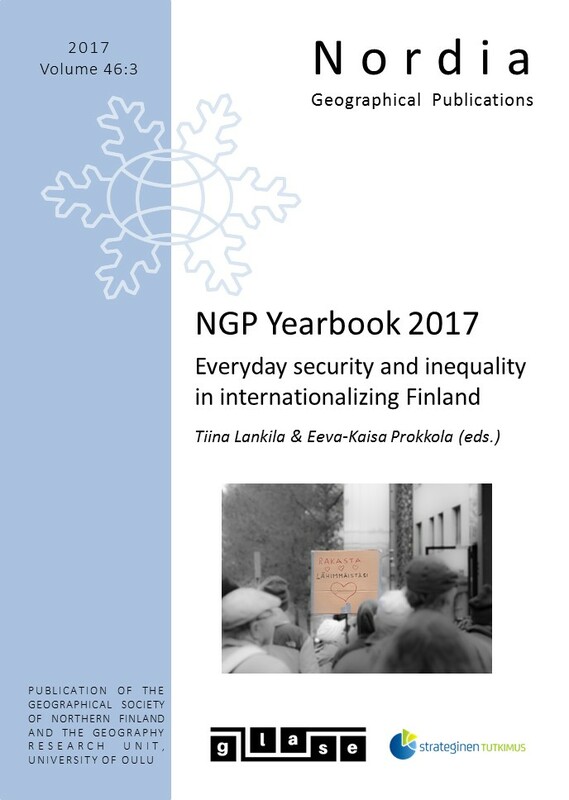 This year’s Yearbook is focusing on the theme of everyday security and inequality, the topic that has become increasingly relevant question in internationalizing Finland. The three papers of this Yearbook are discussing the problematic of security and inequality through different material and virtual sites. The key interest is how everyday security and insecurity are produced and lived out and how ordinary people experience societal circumstances and changes in their own livelihoods. The article from Eva Kaján studies the migration-related discourses of ‘hate speech’ in the Finnish speaking dark net. Sara Haapanen’s article shows how social inequality becomes visible in the breadline in Helsinki and how it is experienced by the people in need. The discussion paper from Eeva-Kaisa Prokkola, Vilhelmiina Vainikka and Eva Kaján reports the findings of a survey conducted in Lappeenranta and Tornio, in Finland. The survey measured how people perceive their hometown from the perspective of security and inequality and what are their attitude towards migration-related demonstrations. The papers point out how the production of securities and insecurities are in many ways geographical and contextual in nature. The research has been supported by Multilayered Border of Global Security (GLASE) consortium, funded by the Strategic Research Council at the Academy of Finland (#303527). The Finnish Breadline: an enforcer of social class and right to space?